Tata has officially revealed four all-new vehicles at the 2019 Geneva Motor Show. One of these newly unveiled vehicles is the Altroz EV, which is based on the all-new premium hatchback. 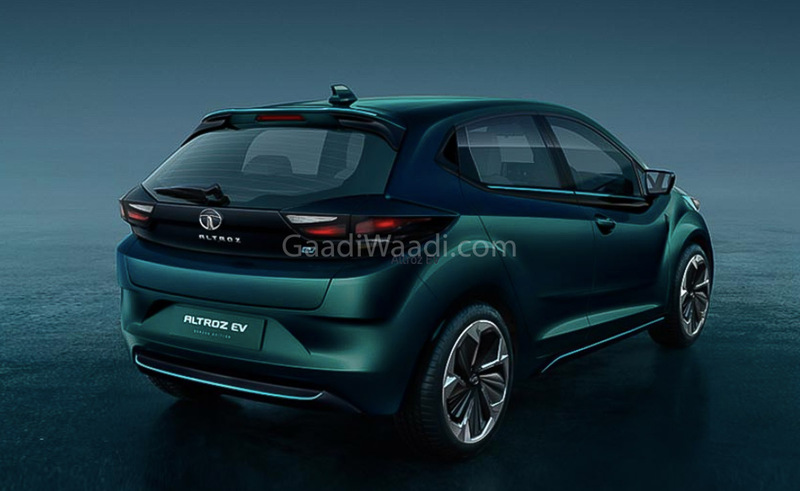 The all-new hatchback will take on the likes of Maruti Suzuki Baleno and the Hyundai Elite i20 in the Indian market, and it is the first vehicle that is based on the ALFA Arc platform. Tata revealed that the all-new platform is very versatile and can support hybrid and electrified powertrains. 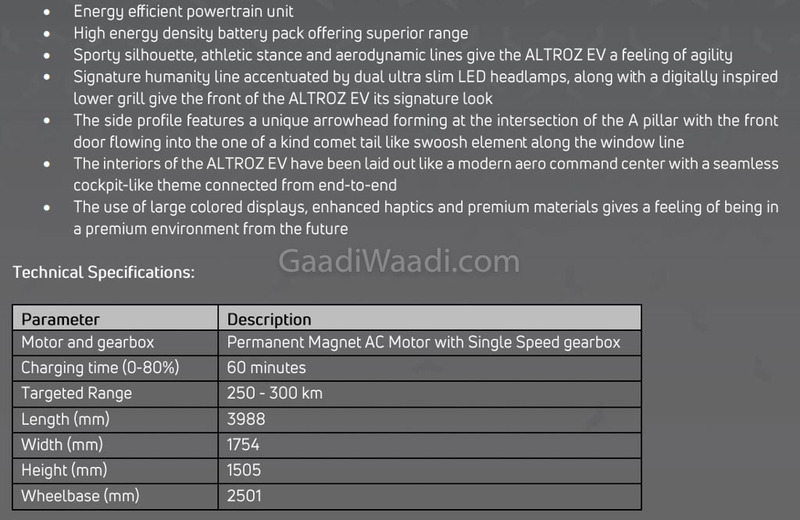 The Tata Altroz EV will be the first electric vehicle based on the ALFA architecture. The car looks identical to the regular version of the regular version of the Altroz expect for some cosmetic details, but the powertrain is entirely different. According to Tata, the Altroz EV will get a permanent magnet AC Motor with a single speed gearbox. The capacity of the battery is not known, but it is estimated to offer between 250 and 300 km of maximum range. According to the official specs, the all-new Altroz EV will be able to charge to 80% in just 60 minutes, which means it will get fast DC charger apart from the regular charger. Tata has not revealed the exact specifications like the battery voltage or capacity. It will undoubtedly have the latest lithium-ion batteries though. This is not the first EV from Tata Motors. Tata will launch the regular version of the Altroz in the Indian market later this year. Tata has not revealed whether they will offer the diesel engine with the Altroz. However, it is known that the 1.2-litre turbocharged engine from the Nexon will be available with the regular version of the premium hatchback. It will produce a maximum power of 100 PS and a peak torque of 140 Nm. It is expected to make a big impact in the premium hatchback segment catering to high volumes.